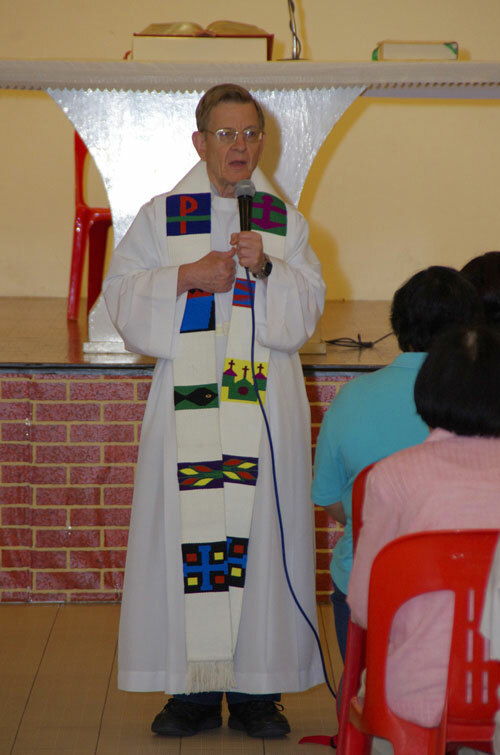 Parishioners of St Michael bade farewell to Fr. Aloysius Tan on 29th Dec 2013. 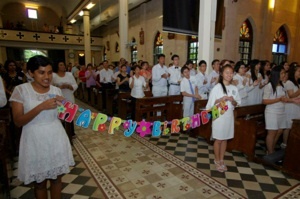 The respective choirs sang songs of tribute and presented token gifts to Fr. 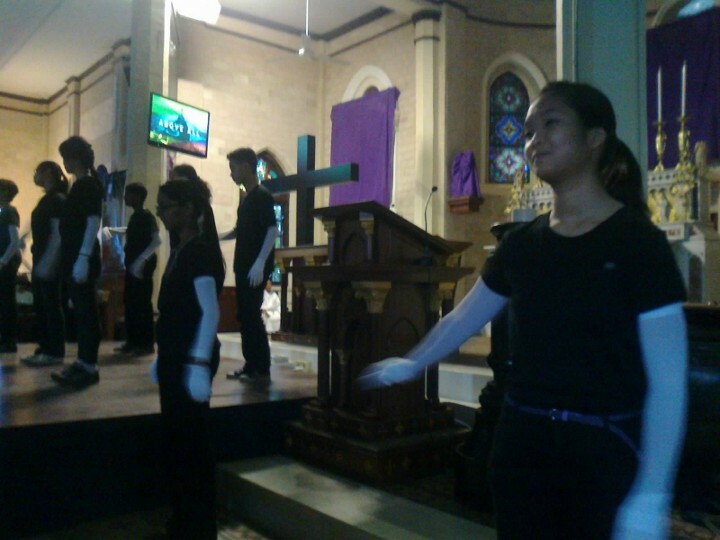 Tan during the weekend masses of 29th December 2013. 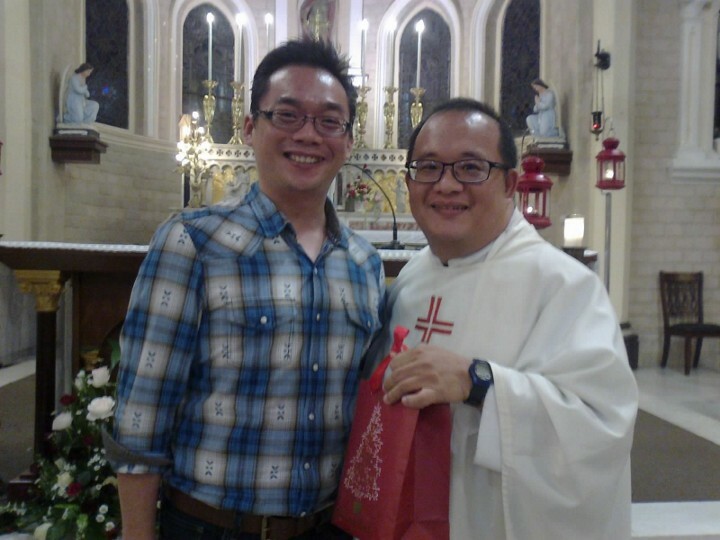 We thank Fr.Tan for his faithful service to our parish and parishes around Ipoh, over these past two years. 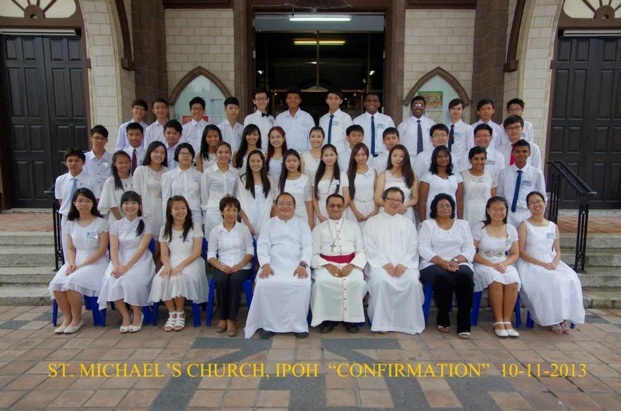 We pray that God will continue to bless and inspire him in his new parish in Kampar. In conjunction with Advent, the church presented a free screening of "The Muppet Christmas Carol" on Sunday,15th December 2013 at 8.00p.m. in Father Peter Pang Hall. 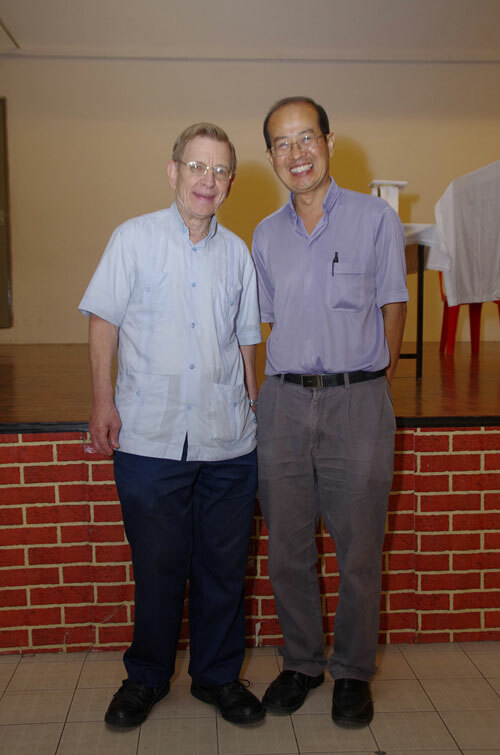 More than 120 parishioners from St Michael's church and other surrounding parishes in Ipoh were priveledged to have had the opportunity to learn more about healing from American Jesuit Fr Matthew Linn S.J.. Fr Edmund Woon was on hand to introduce Fr Linn to all present. The first session on Friday night (29th Nov 2013) started with the topic on healing through gratitude. The second session on Saturday was about healing fears, healing our anger and learning to forgive ourselves. On the third day, Fr.Linn taught participants about discerning one's call and he also talked about giving and receive love. Fr Linn's sessions were interactive and interesting as he gave many anecdotes about his past experiences teaching and living with native American Indians back in the States. The final session ended with a Healing Mass, celebrated by Fr Linn. Click on pictures to get a larger view. 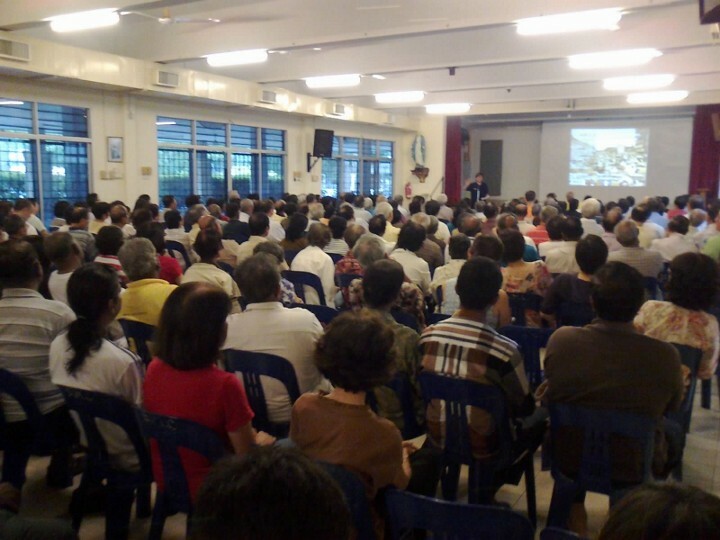 Our parish of St Michael was the proud host of the 40th Anniversary of the Peninsular Malaysia-Singapore Chinese Apostolate Commission seminar from 11th to 14th October 2013. 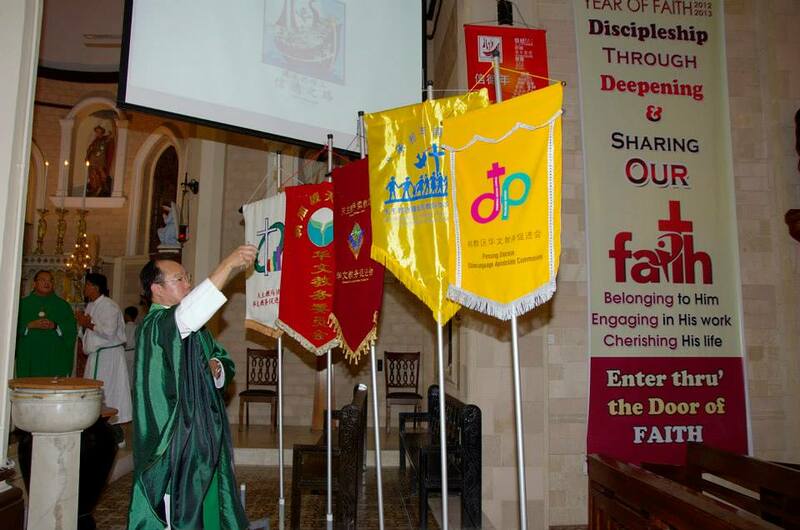 The theme was "Seeking unity with Christ through renewal of faith". Speaker for this event was Fr Joseph Cheng, a moral theologian from Taiwan and former rector of St Joseph minor seminary. 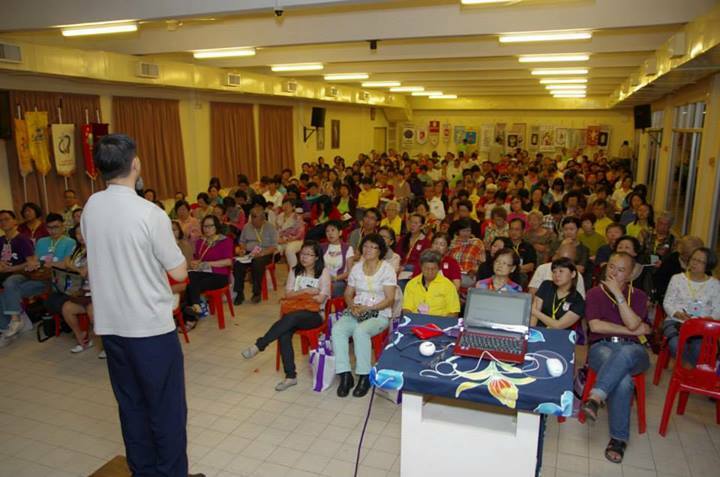 More than 200 participants from Malaysia and Singapore were in attendance. 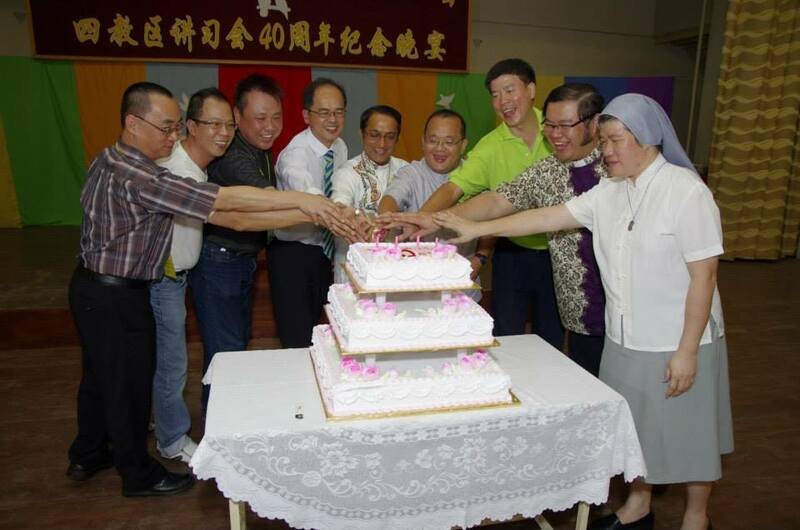 The sisters of the Franciscan Missionaries of the Divine Motherhood (FMDM) celebrated 50 years of their presence in Malaysia with a mass at our parish on 16th Sept. 2013. Celebrants included the Most Reverend Archbishop Joseph Marino (Apostolic Nuncio to Malaysia),Most Reverend Archbishop Murphy Pakiam, Most Reverend Bishop Emeritus Antony Selvanayagam and Monsignor Michael Cheah together with our parish priest Reverend Fr Stephen Liew. All invited guests were treated to a lunch and video presentation of the sisters' work at Peter Pang hall after the mass. Click here for scenes from the event. A Sunday Market featuring a large variety of cooked food, handicraft, ceramics and vegetable stalls all donated by well-wishers and parishioners, was held on 8th Sept 2013. The Sunday market was held to help raise funds for the Peninsular Malaysia-Singapore Chinese Apostolate Commission seminar to be held here in our church in October. The Sunday market was a rousing success,with all tickets for the event fully sold out by 12.00 noon. Click here for scenes from the Sunday market. 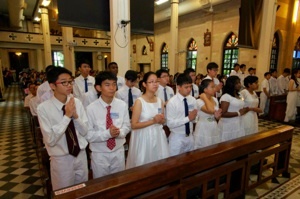 A liturgy formation session was held on 1st June 2013 for all members serving in the liturgical groups of the parish. Fr.Aloysius Tan was facilitator for the Chinese-speaking participants and Brother Simon Anand, from the Penang diocese was facilitator for the English-speaking participants. During the sessions, the various liturgical groups had the chance to share the problems they encountered in their liturgical duties. Brother Simon and Fr. Tan stressed on the need for a good prayer life and the need for guidance from the Holy Spirit in each members daily lives. This will help and sustain liturgical group members. 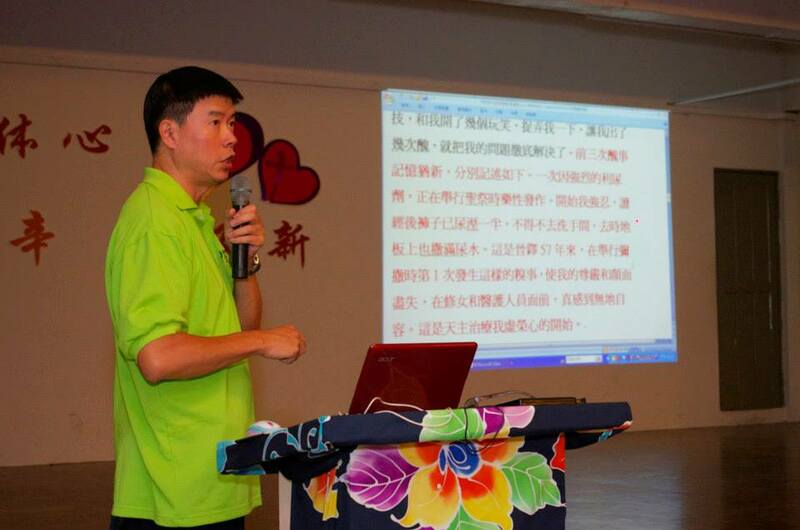 Fr Liew summed up the event for both Chinese and English-speaking groups at the end of the session. He reminded liturgy members that the liturgical groups help facilitate the encounter of God with man during the mass. The mass is an encounter which enables man to glorify God and an encounter for God to sanctify man. Liturgical groups must not take their duties as mere duties as that would defeat the whole essence of mass. Members should always behave in a manner which would draw parishioners and visitors closer to the faith rather than turn people away due to rigid enforcement of rules and regulations. Click here for scenes from the formation. 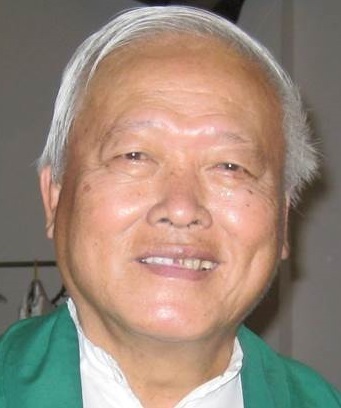 Our beloved assistant parish priest,Fr Anthony Chong,aged 73, passed away peacefully in Fatimah Hospital on 17th May 2013. Fr Chong's body was laid to rest in the cemetery grounds of St Michael's Church on 20th May 2013. 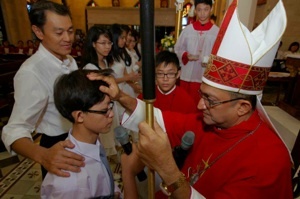 The parish also held a memorial mass at the same time,for the late Fr Peter Shyu who had served in the diocese of Penang before returning to China recently.The massive turnout by family,parishioners and friends from as far as Kota Bharu at the funeral mass presided over by Bishop Sebastian, was a huge testament to the respect and affection people had for Fr Chong. Click here for scenes from the funeral. 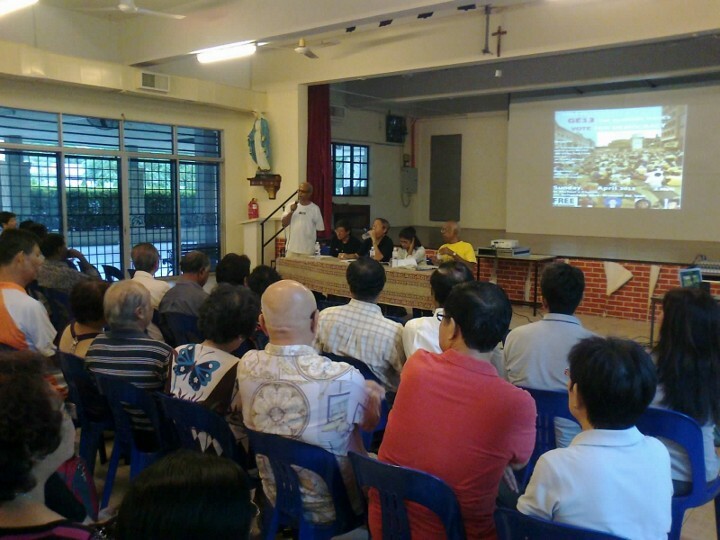 A public forum on "GE13:The Burning Issues" was held at our Parish Activity centre on the afternoon of 28th April 2013. Speakers from Aliran were in attendance to discuss the burning issues in Malaysia, in a run-up to the countrys general elections. 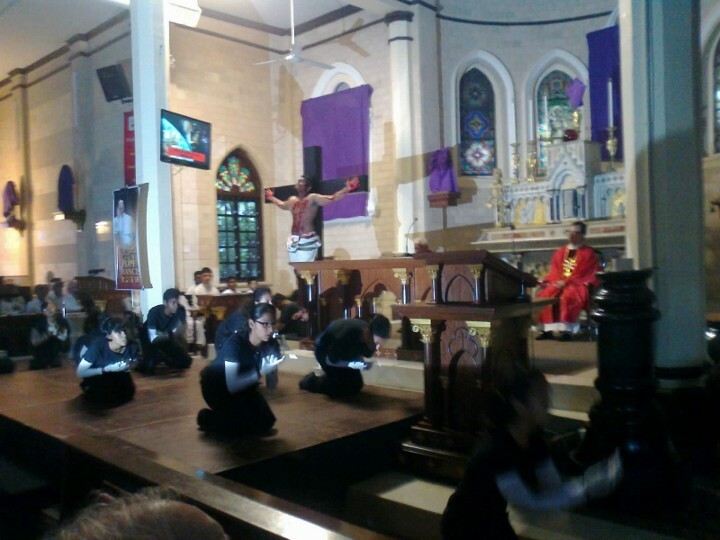 In a departure from the norm,the Chinese-speaking and English-speaking Youth Group of our parish presented their respective plays on the Good Friday services after the Gospel Reading. Click on the above pictures for the English-speaking Youth Group's presentation. Click here to view the video of the play by the Chinese Youth Group. 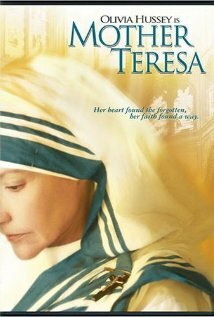 As preparation for the Easter Triduum, the film on Mother Teresa was shown on Wednesday,27th March 2013 at the PAC Hall. Admission was free for all interested parishioners. There were about 100 attendees. 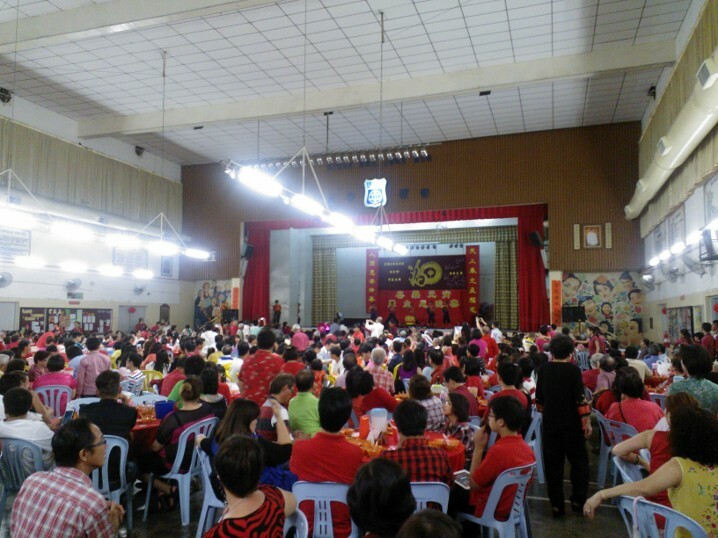 Click here to view scenes from this year's Chap Goh Meh dinner organised by the Chinese Apostolate at Sam Tet School hall on 24th February 2013. 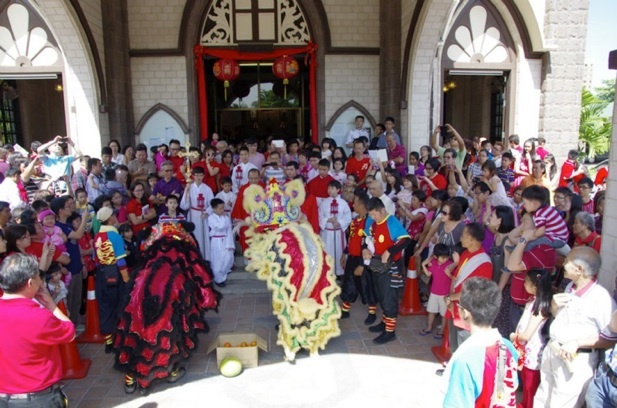 Parishioners were treated to spectacular performances of Lion Dances, an illuminated Dragon dance, musical interludes by the Ave Maria School's Chinese Orchestra, thrilling martial arts display and various songs by the Chinese Youth Group and Chinese choir members. The Chinese apostolate also invited a few hundred non-Catholics to join in the merry celebration which included Lucky draws for all tables and special draws for the visitors too. A big "Thank You" to the Chinese Apostolate, Sam Tet School boys and Board members, Ave Maria Girls School orchestra and all who helped to make the night a truly happy and memorable event. 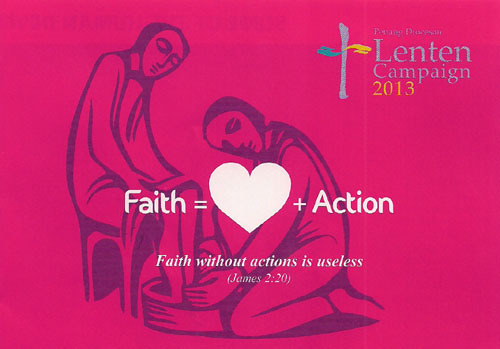 The Lenten Campaign for 2013 was launched on the weekend masses of 16th and 17th February 2013. The theme for this year is "Faith=Love+Action".The Love Squad comprising the Youth Group of the Church presented the theme for this year's Lenten Campaign in the form of a sketch for the English masses and a powerpoint presentation for the Chinese mass. 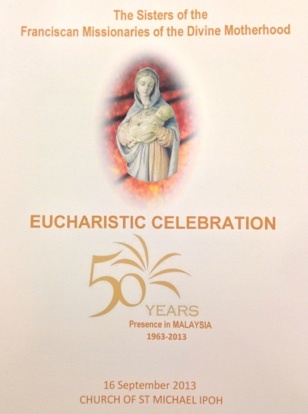 The official Newsletter for St Michael's Church Ipoh was also launched on the 1st Sunday of Lent. Parishioners who did not receive a copy of the newsletter can download it from the church website. Please refer to the bulletin section for further details. Click here to view scenes from this year's Chinese New Year celebrations at St Michael's church, Ipoh. 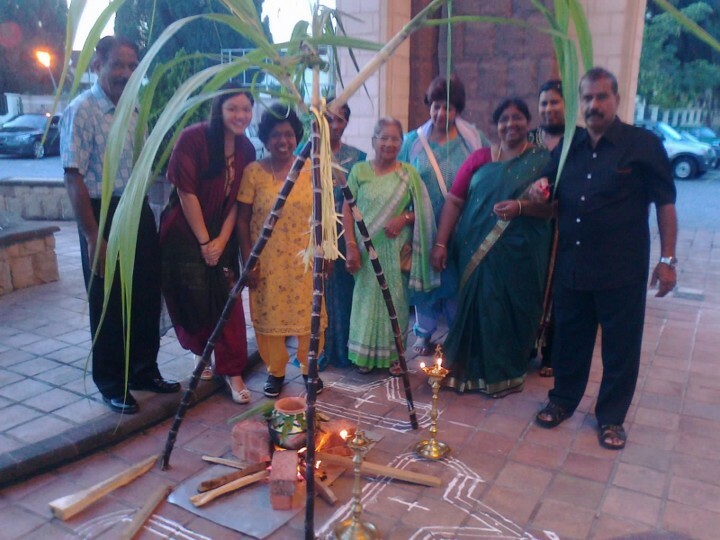 The parish's Indian Group celebrated the Indian Harvest Festival "Ponggal" on Sunday,20th Jan 2013. The traditional boiling of milk in a clay pot was done at the porch of the church before mass. Rice was mixed into the milk as it boiled over, and golden raisins, chick peas, sweet brown sugar and some yeast were also added.The sweet rice formed part of the offertory at Mass. After Mass, parishioners were treated to sweetened rice and chick peas and served by the Indian Group, dressed in their lovely traditional attire. Parishioners were also treated to a display of colourful kolam at the PAC Hall. A blood donation campaign was organised by the Parish Human Development Committe (PHDC) on 6th January 2013 in aid of Fatimah Hospital. A big "Thank You" to all parishioners and volunteers who helped to make this event a success. 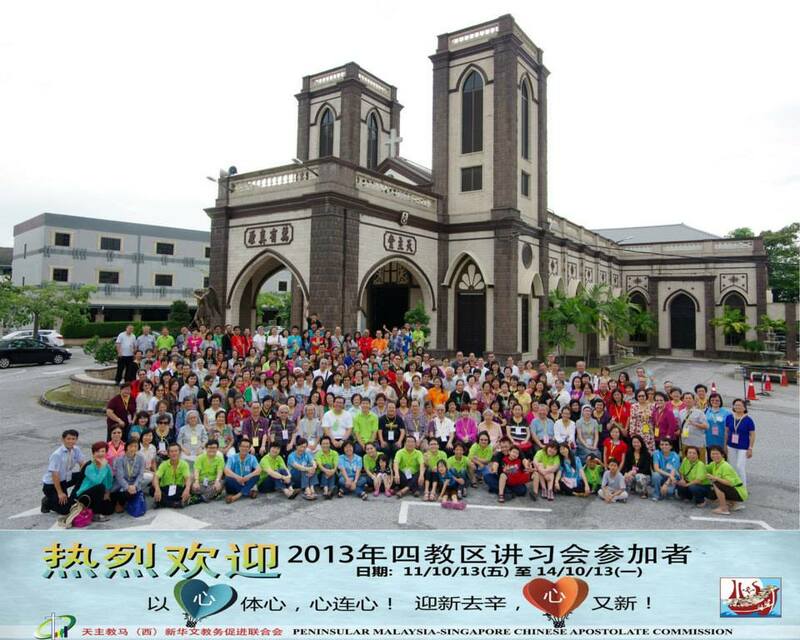 © 2013 Church of St. Michael,Ipoh. All rights reserved.